This one is contrary to a lot of stuff you’ve read and heard, but there is science to back up the claim that light is very important to human health. Primal people lived mostly outside, after all. The amount of light you need may differ according to your genetics and skin tone, but everybody should try to be outside in the sun without sunglasses for at least 20 minutes daily, according to many health experts. Dave Asprey of Bulletproof says that getting outside for even a few minutes within an hour of waking up, even on a cloudy day, gets the right kind of natural light into the retinas of your eyes, which tells your body that it’s time to wake up. In fact, I’m going outside for a few minutes now that I think of it. Thanks for that info, Joanne, I do the same thing…especially when I have to break the rules and watch tv late at night – like when the Packers are beating the Bears or when the Brewers are in a pennant race with the Cubs. Both of those happened in the last few days. I think that has to do with why this post is a day late! 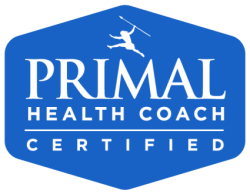 Previous Previous post: Primal Blueprint Law #6 – Play!